It is what many Rohloff Speedhub riders have waited for. The thumb shifter. We simply have not tested it, we only are certain it works with the Cinq box. I have straight bars 24mm in diameter. Do you sell some form of bracket so that I could use the 31mm shifters? Also do they fit all Speedhubs? Thank you for your enquiry, unfortunately these shifters are only available with either 22.2mm or 31.8mm brackets & we do not have a specific bracket or shim that could be used to take is from 24mm to 31.8mm. These shifters do however work with all Rohloff Speedhubs. Can I attach the the thumb shifters to the Gevenalle Audax shifters? Looking for the separated shifter in a drop bar compatible format or a front mount like on the Gevenalle Audax. Simply, we are unsure as we do not have some Gevenalle shifters here to test fit. Hi, I originally purchased this system from you in Sep 2016 and it has worked perfectly for a year. However, the mechanism inside the box has suffered a fatigue failure with one of the sprung arms breaking inside the box. Is the item under guarantee and or is it possible to purchase a new mechanism for inside the shifter box? We do not sell the internal parts separately but we should the shifters are still under warranty so we should be able to send them back for repair. 31.8mm brackets , sold seperately ? 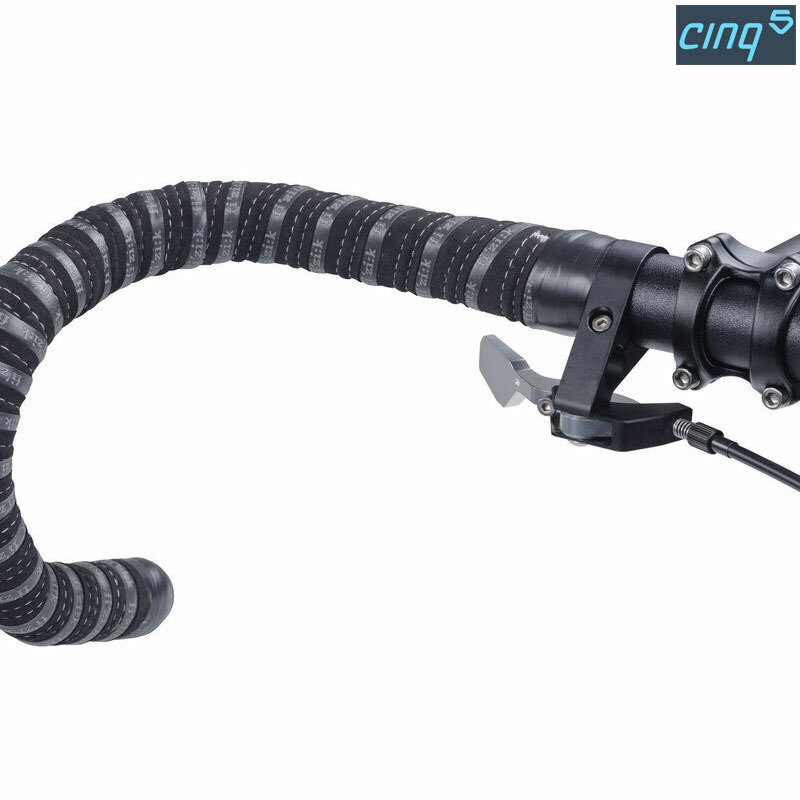 hi i bought the 'Cinq5 Shift:R Thumb Shifter for Rohloff Hubs - Flat Bar 22.2mm' on ebay , , now however i'm building a touring gravel bike and need the brackets seperately from the 'Cinq5 Shift:R Thumb Shifter for Rohloff Hubs - Drop Bar 31.8mm', are you able to assist ? Unfortunately we do not stock the brackets separately.